So on top of everything am working on....am also working on a fish bone comic. 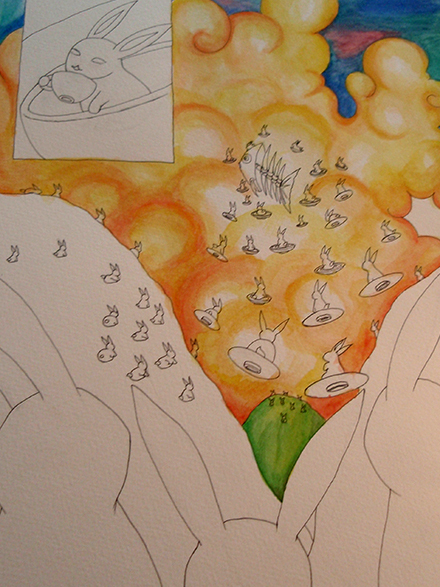 Yup, you're looking at the progress for the second page. Nowhere near done yet...though am hoping beyond all hope that I can get this and my "Exhibitichin" piece (the first one) done some time this week. Chances are slim. I start 3D school again and am still catching up and keeping up with freelance work. Did I mention that working and going to school and having commitments outside of that as being tough? Yeah.....it's tough.